Firstly, please don’t worry – everyone forgets things from time to time. As you are on our register and part of our group, we still want you to come along and you can still join in.But before we get started, think very hard. When did you last see your harmonica? Perhaps you did remember it after all, but you just can’t remember where you put it! You’d be amazed how often we discover harmonicas in sch ool bags or class room drawers. So have a quick think. If it’s still not there, that’s ok, let’s look on our time together as a music lesson, not just a harmonica lesson. There is plenty to learn, even without a harmonica and you’ll certainly understand what we’ve covered. Here are some ideas for joining in, which we’ve used lots of times. There sometimes music to hand out, chairs and tables to arrange and things you can do to help your Harp Academy teacher. Ask your teacher if they need a helper. 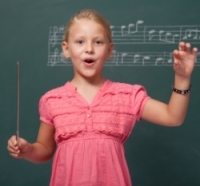 Ask your teacher if you can help conduct. You could help your group warm up using the C Major Scale. The tab is in your Music Diary. Maybe try conducting a tune too. It’s a great way to learn how groups of musicians keep together. You could learn to use simple time signature hand movements. Otherwise try our push-pull fingers system. Most of our songs have words, so you can sing along too. Can you remember the words without looking?Listen to the tune and sing along. If you’re feeling shy, you can just hum. Or else just listen to the others on their harmonicas – how do you think it’s all sounding? What can we learn by listening to others? What could be done differently, or better? 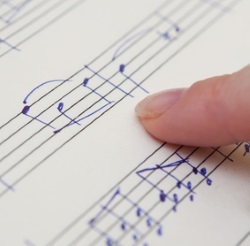 If you have a paper copy of the music, learn follow the tune with your finger. 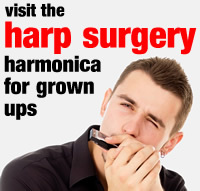 Are you following our harmonica arrow tabs, or standard notation (lines, spaces and dots). What does standard notation tell us that harmonica tab doesn’t? Can you name the symbols in the music? How about the time signature and the key?Try humming along as you follow the music. 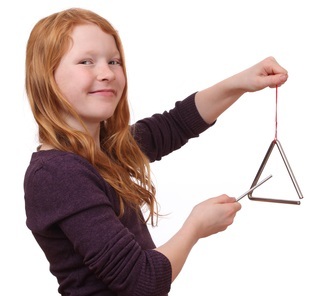 If we’re teaching in the School Music Room, there may be a percussion instrument you could use to learn about timing. Check with your teacher first, but timekeeping and time signatures are an important skill for all musicians to learn. What rhythms can you learn to keep? How about tempo? How about counting the group in and keeping time for them using the down beat? With your teacher’s help, try counting the group in and clapping in time while they play. Tap the beat on your hand with two fingers. See if you can double up the beat. How easy is it to count musicians in and keep time? You can clap, nod, or tap your foot to the beat. If you prefer to sit quietly, in the centre of your Music Diary, you’ll find some fun music puzzles and activities that can be enjoyed without a harmonica. Decide with your Harp Academy teacher which pages you’d like to work on. Take a bow! 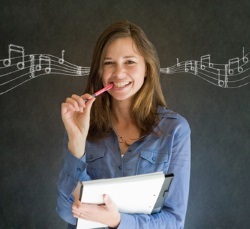 No harmonica, but lots and lots of ways to build your musical skills. The important thing is, you joined in anyway, learned new musical skills and had fun. Try to remember your harmonica next time! How will you make sure you don’t forget? Is there a grown up who can help you?